In a devastating 3 days of attacks, naval air forces did much to destroy Formosa as a Japanese support base. Japanese forces retaliated with heavy and repeated land-based aircraft attacks. 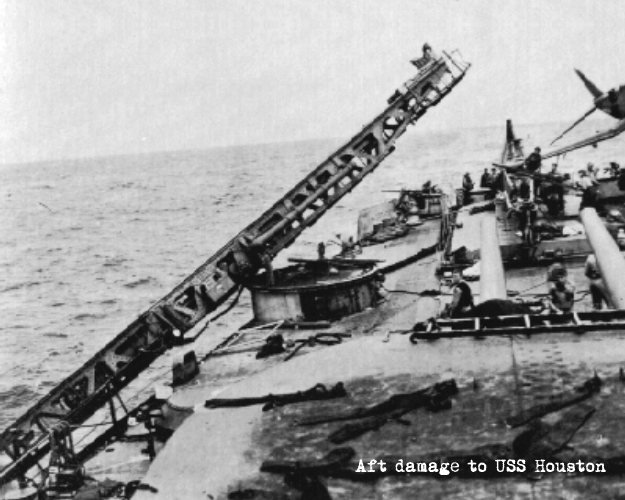 Houston splashed four aircraft in one attack on 12 October, and helped repel another attack next day, in which Canberra suffered damage. Taking Canberras old station 14 October, Houston and other ships met another heavy raid. Three of the attackers were shot down but a fourth's torpedo hit her engine room, causing loss of power. 52 crew members were killed in the incident.